On August 27, 1997 there was a car crash near the city of Piotrkow Trybunalski. It was a collision of a passenger car and a truck. All the car passengers got injured but the driver of the vehicle - Marcin was the most heavily injured of them all. He was taken to hospital in critical condition. He stayed there unconscious for a long time. This is his story. I am a man of faith now. But it was not always like this. Needless to say I got the Catholic nurturing. It can be said that I underwent through all the stages of the Christian initiation: was baptized, took the first Communion and was confirmed. But as it turned out, the Christian formation I got at home and on the Religion lessons at school was not enough. Being a teenager I got angry with God, the belief and everything connected with it. I estranged myself from God. I became not only non-observing, I became irreligious. One day my friends and I were on our way to Gdansk for our friend’s wedding. And then it happened. And it changed my life. The car crash happened near Piotrkow Trybunalski. The truck crossed into the oncoming lane. It was reversing on the highway (there were no barriers to prevent the vehicles from performing such maneuvers at that time). I think he saw me in the mirror but probably he thought that he would manage. But he would not. At the last moment I tried to evade him. I failed. The emergency braking also did not help. The power of the blow was on me. It was so powerful that the truck turned over. There were four people in my car. All the passengers were injured. Somebody got a jaw fracture, somebody a brain concussion. I was the most seriously injured person. My breath fading I was taken to hospital. I was sustained alive. My critical, deathly injury was a contusion of the brain stem. On top of that I had my leg broken and left arm fractured, jaw and nose fractures, a bruised lung, crushed and fragmented left knee-cap and fractured hip. Multiple injuries made my condition even worse. According to doctors' opinions my chances to recover were very poor. They said that even if I got better I might not be able to walk. When I was unconscious and stayed at hospital in very serious condition, my friends-believers from Cracow and a lot of other people prayed for me. My friends prayed and made intercession for me to the Servant of God, Father Jan Beyzym. He was the candidate for the altars then. They prayed for my miraculous recovery as, frankly speaking, my return to health in a natural way was next to impossible. One of those who pleaded on my behalf was my friend’s (the one we were going to the wedding) father. He ordered a mass for the mercy of my recovery with Father Beyzym’s intercession. 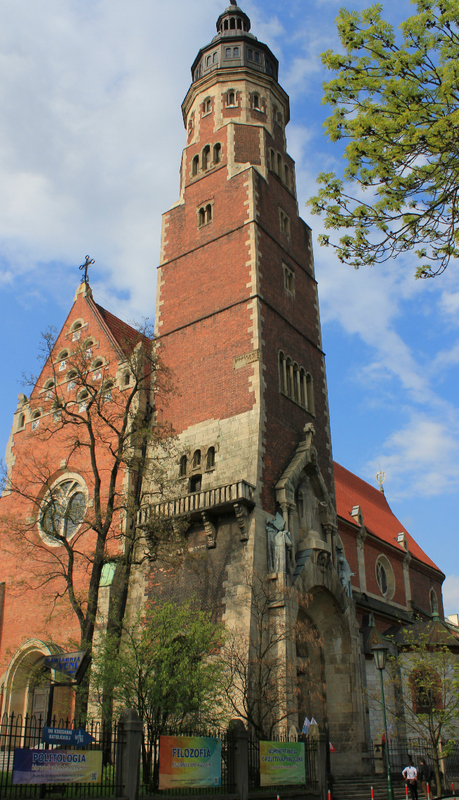 The mass was held in Cracow in St. Barbara’s church, the church of Jesuit fathers. The very day when the mass was held, all my brain stem lesions disappeared and I recovered consciousness. The council of physicians considered such an unexpected catastasis as an inexplicable event from the medical point of view. Inexplicably or not, but I started to recover. Some time later the Holy service on my behalf was held again. But the intention this time was different. The first mass was for my physical recovery. Now it was for my spiritual health. It was the Holy service for my conversion. I could participate in the mass. And I remember returning to hospital after it, to undergo a long course of treatment. In spite of the fact that I regained my consciousness and the slow process of my recovery began, it took some time for me to realize what had happened. And it finally dawned on me when I went out of the hospital all by myself, not on the wheel-chair. It was Father Grzegorz, Dominican. I had met him before the accident, being irreligious then. He helped me to overcome the illness and to build up my strength. We used to go hiking together. He knew that I was faithless. We used to talk a lot but Father Grzegorz never imposed anything on me. During my convalescence we never touched the topic of faith. Maybe he was expecting me first to start. And I did. I started to ask him about God, about sin and morality. Father told me gently then that when I was taken to hospital, the priest was invited to see me. He granted the absolution and the Sacrament of Anointing of the Sick. Father gave me the comfort saying that our God was merciful to me, the sinner, and forgave me all my former sins. It meant that I was purged of sins. I realized then that I was indebted to Our Lord. I felt it. Father Dominican bided. I needed some time to digest everything. It hit me that I owed my life, health, the ability to walk to Father Beyzym. I paid my first visit to Father at St. Barbara’s church and then I visited him at Basilica in Kopernik Street. I started to be interested in his life and activities. I felt thankful for everything he did for me. I had the sense of confidence in him. And then I realized that something even more important happened - I regained my faith. I believed again. I believed in One Triune God that was so merciful to me.